So I started with a little budget that needs to be filled up many times, so that I could continue. Three years of work are behind me and now is the time to announce the project. In the middle of 2018 it will be ready and the film about Playback Theatre available. It contains pictures of performances, workshops, gatherings, interviews taking place in different countries and languages with practitioners and the founders. The goal of this project is spreading Playback Theatre into the world, making it much more public and supporting the global movement. 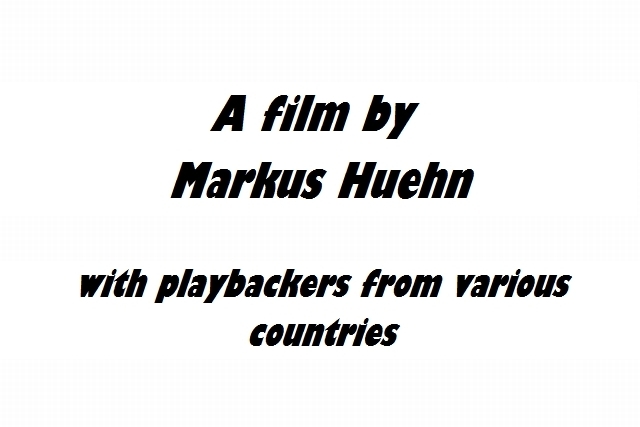 I will share my next steps with you on facebook and will show you some first trailers. There also will be a homepage and a crowdfunding campaign.